Today we have Remya Warrior on the show with us and she’s a New Jersey Interior Designer with a Master’s Degree as well as fourteen years of experience in the field. She is active in both the WCAA (Window Coverings Association of America), where she is currently the Vice President of the New Jersey chapter, and also in ASID in New Jersey, where she is the featured Tech Talk host. Listen in today, to hear all about what that is and also to find out about Remya’s very actionable Seven Step Process that she uses to really knock her networking right out of the park. Remya really loves to cook for her friends and family and she firmly believes that the kitchen is the heart of the home and it is this that has her specializing in Kitchen Design. Being an active member of the WCAA has led her to her falling in love with window treatments and specializing in that area as well. 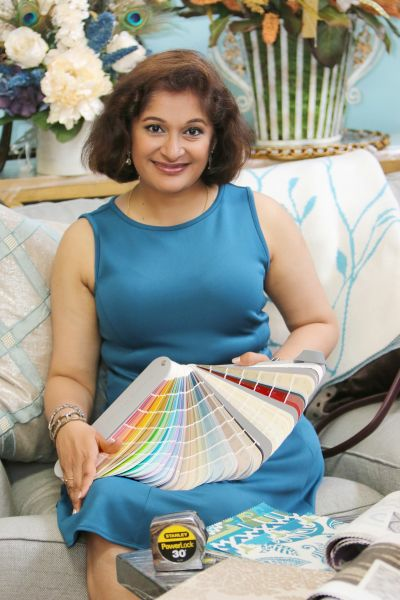 On Remya’s website, there is a line that says that she helps busy, middle-income families create a home that they love and this is something that LuAnn found very interesting because she really enjoys finding out what makes you, as an Interior Designer, different. LuAnn loves researching and finding out what really sets certain Designers apart, for the purposes of the show, and she points out that your clients also want to find something on your website, that really sets you apart as a Designer. Listen in now, to find out more about Remya and the really interesting things that she does with her business, to set her apart from the rest. Koffee Break– the Video Resource that Remya used to have on her website. What Remya learned from doing Koffee Break for two years. What Tech Talk is all about and who Remya has connected with, through doing it. How Remya has really managed to up her game, through doing Tech Talk. How Remya selects the people that she interviews on Tech Talk. You can go to the ASID channel on YouTube, to see the library of resources that Remya has created there with her webinars. Remya gives a detailed explanation of her Seven Step Process designed to help you to network most effectively. The heartfelt and personal messages that Remya sent to only five special people on Thanksgiving. What it takes to create a really effective Sales Conversation. The three separate email sequences that Remya has on her website to put business leads into her pipeline. Building your referral strategy, through Remya’s Seven Step Process. You can also search for Remya on YouTube and Ted Talk. Remya learned this networking technique from her friend Paul McManus! To get 10% off your entire first purchase from Curated Kravet, go to http://www.curatedkravet.com and use the code C K Podcast at the checkout. If you’d like to be in one of LuAnn’s Masterminds, email her at info@luannnigara.com to see if you’re a good fit.